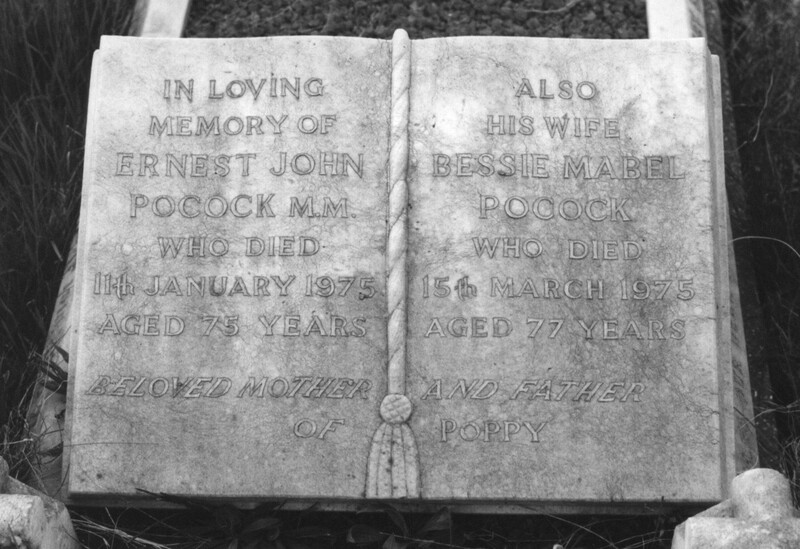 Ernest John Pocock died of 11th January 1975 aged 75 years. He is commemorated on the same grave as William Morris Sawyer and is included in this document by virtue of his war service. 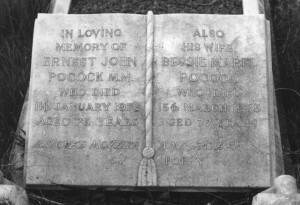 Ernest Pocock lived at 55, Sherman Place, Reading. 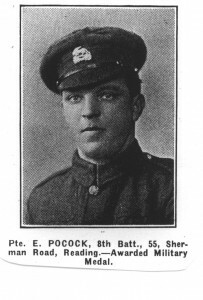 He was awarded the Military Medal for bravery and devotion to duty whilst serving as a stretcher bearer. The announcement was made on 20th October 1919.